When it comes to exquisite wedding celebrations at a world class Long Island, NY hotel the first to come to mind is the Garden City Hotel in Garden City, New York. This exclusive, elegant hotel has got to be one of the finest venues anywhere to cater your special event. It easily compares to the finest New York City venues such as The Waldorf Astoria, Gotham Hall, The Four Seasons, The Lighthouse at Chelsea Piers, The Plaza Hotel, The Pierre, The Essex House, The Ritz Carlton Battery Park or any of the other famous NYC hotels and catering venues. I’ve had experience creating wedding photographs at all of these prestigious locations yet The Garden City Hotel is especially dear to my heart as it is located right here on Long Island in close proximity to my East Northport, NY studio and gallery. This photograph was taken inside the main ballroom at The Garden City Hotel just before the bride and groom made their grand entrance into the room for dining and dancing at their meticulously catered event. 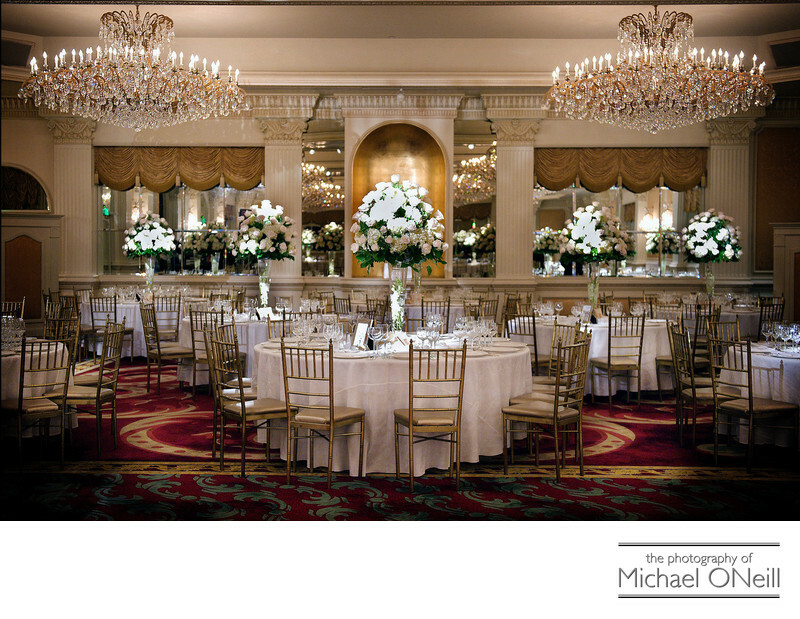 Beautiful crystal chandeliers hang from the ceiling and stunning floral centerpieces adorned the elegant dining tables. If you want a wedding reception with all the elegance of a New York City event but don’t want to leave Long Island than you have only one choice: The Garden City Hotel. If you’re looking for a photographer who has experience working at this amazing venue give me a call and we’ll talk about all your plans and wishes for your wedding day.